Many people after I make some minor modifications in their Macs appreciate to have icons to delete files and folders and add new folders in the Finder Toolbar. In the default installation of Mac OS, these icons and related functions are note visible. Another interesting icon is “Path”. 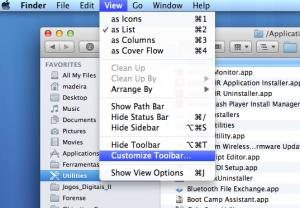 It shows where the opened folder is located and allows navigate upper in the folder tree.